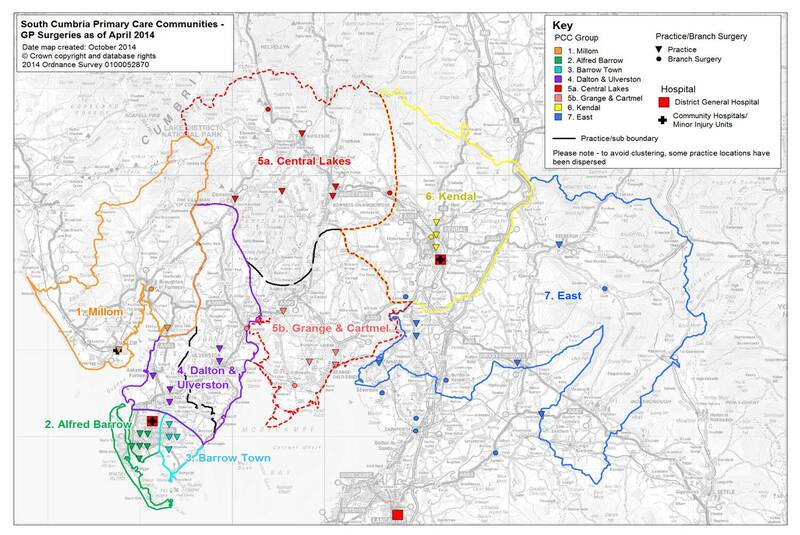 In my previous blog in this series, I wrote about the ‘Pentagon Model’ which we have developed in Morecambe Bay to help us think about how we manage Population Health. 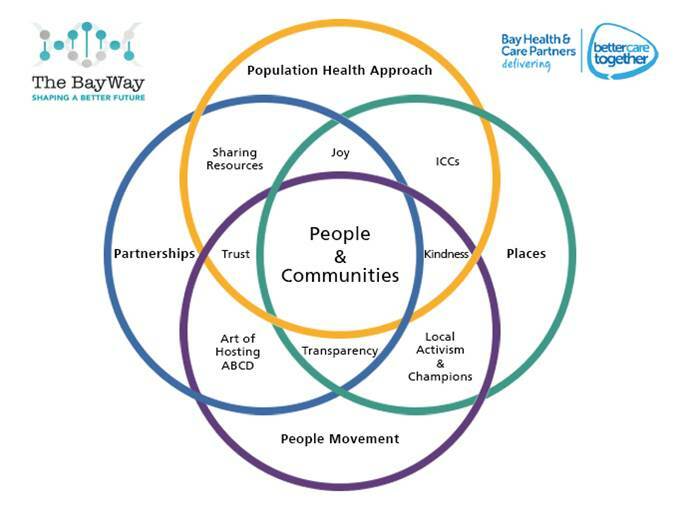 The Pentagon approach actually forms one of four parts of some over-lapping circles, based on 4-Ps (Population Health Approach, Partnerships, Places, People Movement), which give a more holistic view of what is involved. 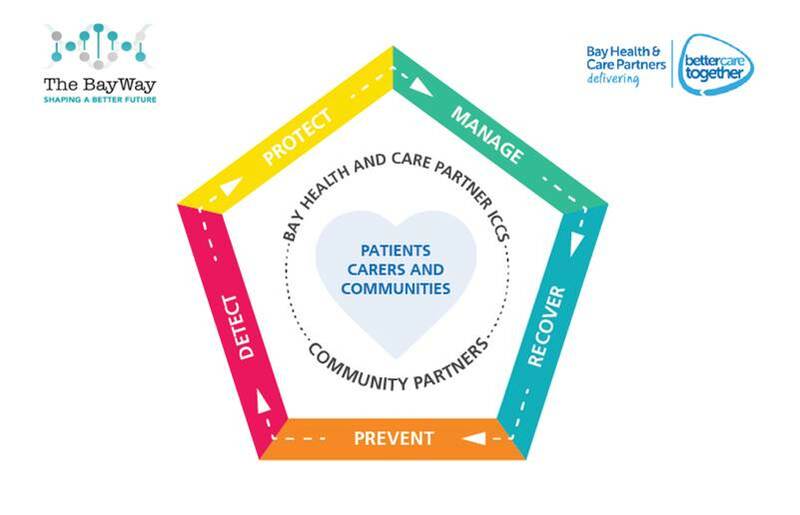 At the heart of the model we are working with, sits the people and communities who live in Morecambe Bay. Communities can be geographical, communities of interest (e.g. 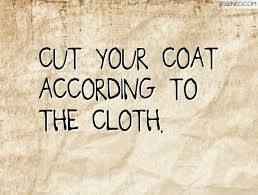 faith-based/workplaces etc), or transient (e.g. students). We are absolutely passionate that we do not do things TO people and communities, but rather, guided by the brilliant principle that ‘nothing about me, without me, is for me’, we do things with the people and communities we are trying to serve. We look to co-design, co-create and co-produce our services, because the services belong to the people. This takes culture change and some new thinking on our part and we are learning to work differently. Our Venn-diagram gives us a framework with which to think about Population Health more clearly. The Population Health Approach Pentagon of prevent, detect, protect, manage, recover really forms one of the circles. Included within this, also, are a few other important factors. Firstly culture. If we don’t get culture right, then we don’t get care right. I’ve done three separate vlogs on the kind of culture we are trying to embed across the health and care system in Morecambe Bay – Joy, Kindness and Excellence. Secondly, we are redesigning work around various different health problems, for example, diabetes or respiratory problems WITH people who actually live with those conditions and use our services on a regular basis, building pathways for people that actually make sense and work for everybody. Thirdly, we are taking time to really understand the data available to us through many sources and using it to enable both the leadership team and our local teams to make informed decisions about where we need to focus our efforts to improve care. More than ever before it means that we need to share resources with other organisations in order for us to be able to cope with current budget constraints. It also means that we have to think very carefully about where we align our resources. One of the issues for us in population health is that we have never really tackled the growing health inequalities in society. It is simply NOT OK that some people in this Bay die 15-20 years earlier than people who live 6 miles down the road. It is also NOT OK, that it is in these areas of higher deprivation, where we also see more complex medical and social problems, but do not allocate the money or the staffing to cope with the increased demand. And yes – it is true, that the problems are complex, and so money and resource is not the only answer, but it is definitely a part of the answer! If we’re ever going to make an inroad into changing the health of our population and tackling health inequality, we need to apply the triple value approach of Professor Sir Muir Grey – of how we prioritise our resources. (http://www.nhsconfed.org/blog/2015/05/the-triple-value-agenda-should-be-our-focus-for-this-century). Here is a short clip about it, if you’re interested! (https://vimeo.com/155569869). Partnerships are absolutely key in improving the health of the population. There is so much cross over between county and city/district councils, the police, the fire service, the NHS in it’s various guises (including mental health, GPs, acute hospital trusts and community services), the CVFS and indeed the business sector. The relationships at strategic-leadership level and within each locality are the oil that allow us to work effectively together. It is only through honest, transparent vulnerability that we learn to trust each other and to share the resources we have to serve the needs of the population. As social care continues to sit under the remit of the County Councils and Health remains under the NHS, increasingly devolved into the regional Integrated Care Systems, without a deeper and more shared accountability and effective working together we will not have the necessary leadership to enable local team to transform the future of care. This is where Place becomes really important. It is harder to get culture right, and build relationships that really work well if we’re always talking about “working at pace and scale”. As services are reconfigured, it is important that team structure allows for small enough teams to enable good working relationships to happen and that the necessary work is done to get culture right! I was in conversation with Professor Sir Chris Ham, CEO of the King’s Fund, and he is adamant that it is at this local neighbourhood level where the real change takes place, because this is where we are able to work with people and our communities in a very real way. That’s why we are so passionate about our Integrated Care Communities (ICCs). This is where, in a very relational way, traditional barriers between organisations are broken down and new bonds are formed in working together for local communities across the public and community-voluntary-faith sector (CVFS). There is a real danger that we focus so much on the ‘super structures’ and put huge time and energy into reorganising the system and lose sight, in the process, of the very thing we are trying to do, which is to make care better! Our ICC teams must feel the full permission and receive the resource needed to do this transformational work. The reality is, however, that unless we have a people movement for improved health and wellbeing, nothing will change. The issues we are facing health and care-wise are incredibly complex and multi-faceted. In Morecambe Bay, we currently spend £1.20 for every £1 we receive. We are doing our very best to try and reimagine how we deliver health and social care, working more efficiently in partnership and redistributing resource where we can – but when we are all in financial deficit (and in our local NHS we need to cut our cloth by £120 million over the next 3 years – 1/5th of our total budget) when we have already had some eye watering cuts to the county councils budgets, especially in the area of public health, there is only so much we can achieve! We understand the frustrations that people feel when it comes to health and care, but we cannot fix it from within the system alone. There is a need for us all to recognise that things we could provide a few years ago may no longer be available or not within the same time frame as previously. It would be wrong of us as health leaders to simply make changes without the communities having a say. But for example, if we are to improve our Children and Adolescents Mental Health Service in South Cumbria (which is desperately needed), we might, as an example, need to do less knee and hip replacements……we simply can’t afford it all, with our current allocations of resource and staff, and therefore we need local people to work with us on this, and help us work out where our priorities should be. We know, if we don’t involve our communities in these decisions, complaints will go through the roof, which drives down morale and is utterly exhausting for teams to deal with. However, we are going to have to be brave in some of our decision making. As a society, we also need to all be more healthy and well, taking care of ourselves and each other.Some might argue this is all down to personal choice. Of course, there is some choice involved – however, when you read the National Audit Office report (https://www.bbc.co.uk/news/education-44468437) into the huge difficulties Universal Credit is causing, and the Joseph Rowntree Foundation Report into Destitution in the UK 2018 (https://www.jrf.org.uk/report/destitution-uk-2018) then you begin to realise that it is easier to make healthy choices in some communities far more than in others. These are inconvenient truths, and need to be reflected upon with due diligence. There is a danger that we choose to work with highly motivated communities to improve health and wellbeing and actually make health inequalities worse. 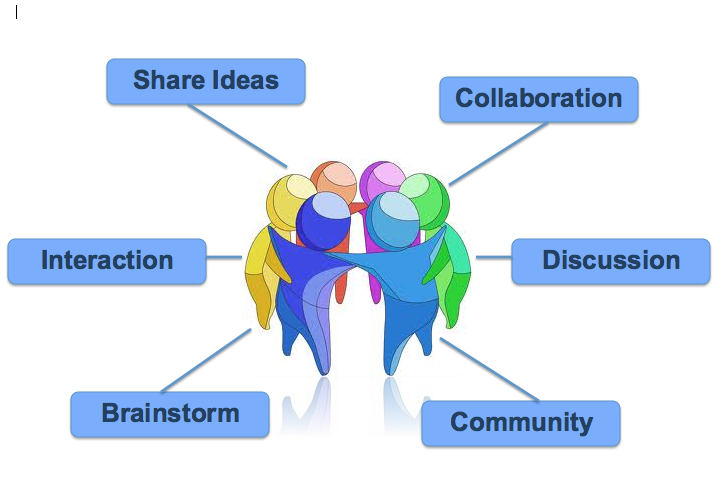 However, if we really listen to what is going on with local communities and work together, we can do some great stuff . Work from the University of Birmingham shows that if we can see a change in just 3% of our population, then this will have an effect on 90%. As the work in Canterbury, New Zealand shows though, this takes time and relationship – the process is actually more important than the end product. And for an under-resourced, already exhausted community, supporting any social movement requires investment at many layers. 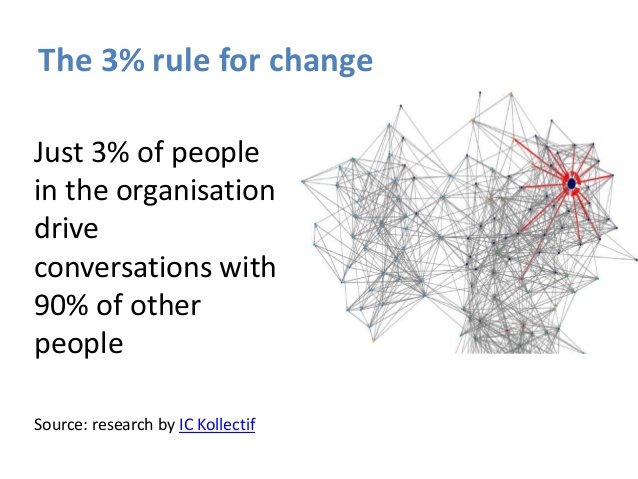 The NHS 5-year forward view and the learning from the Institute for Health Innovation both recognise that social movements/people movements are key to transformational change. We must press on with this work, and base it on a foundation of love and collaboration if we are really to change things together. So, this is why we are so passionate about really working with our communities, here in Morecambe Bay and will continue to host and hold space for community conversations. We are talking about many things, from economic development, to childhood, education, loneliness and mental health. These spaces are vital for us to connect together, hear one another, meet people who are different from us because it is only together that can reimagine a future that is good for the planet and socially just for humanity.